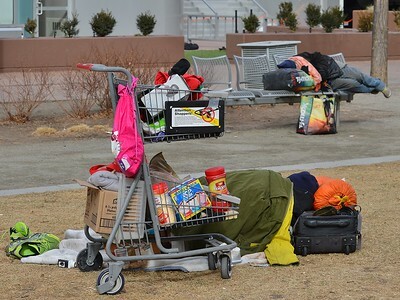 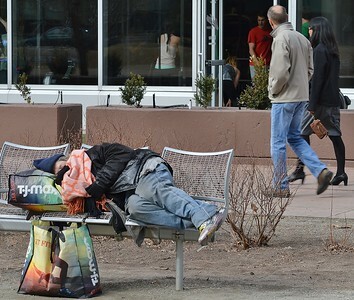 Homeless people sleeping in downtown Denver park. 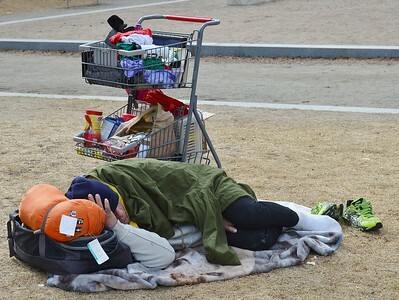 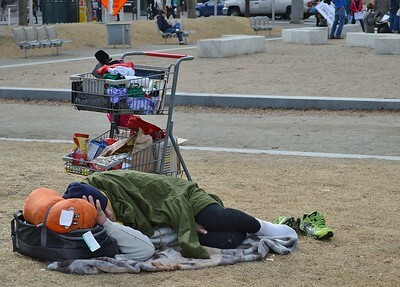 Two homeless people sleeping in downtown Denver park. 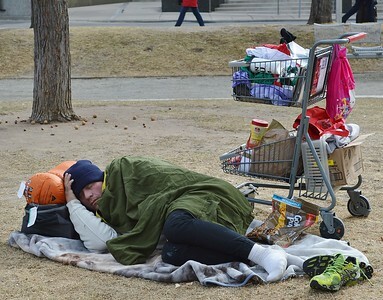 Homeless person with shopping cart full possessions, sleeping on the ground in downtown Denver park. 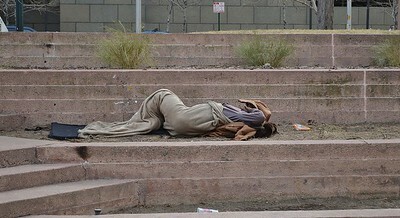 Homeless person sleeping on the ground in downtown Denver park. 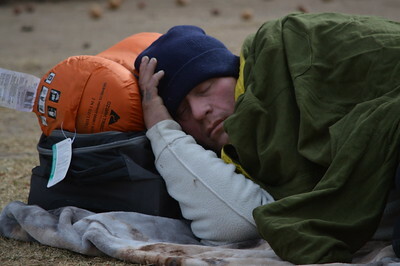 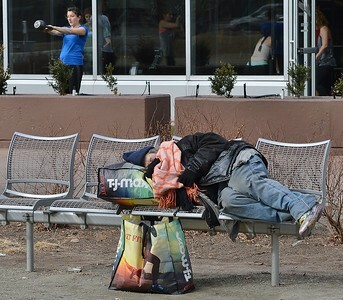 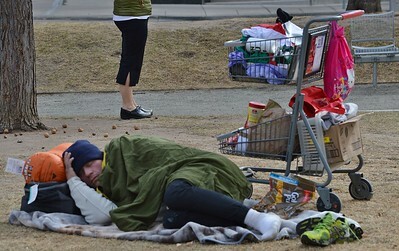 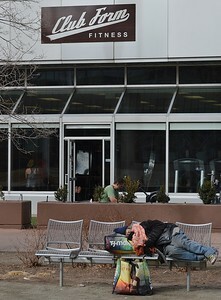 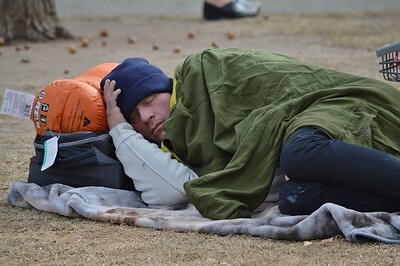 Homeless person sleeping on the ground in downtown Denver park as people in the background workout at a fitness center. 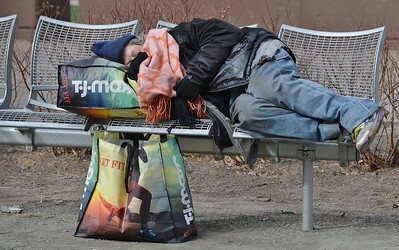 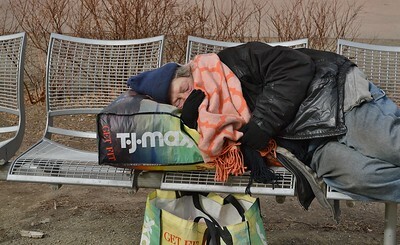 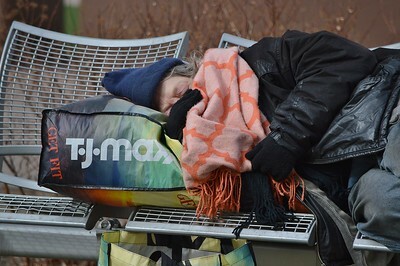 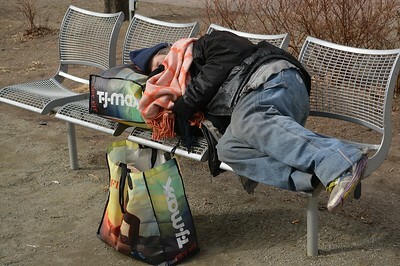 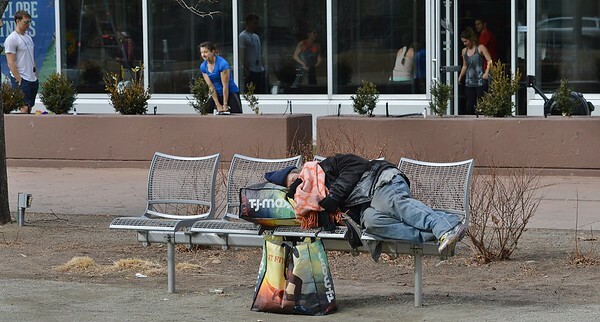 Homeless person sleeping on a bench in downtown Denver park.